A new report from Goldman Sachs suggests that the world’s first trillionaire will make their money primarily through asteroid mining. As a financial services company, Goldman Sachs has long supported asteroid mining – largely due to the fact that it has the potential to be extremely lucrative moving forward. As we start to extend our reaches further into space and travel into orbit becomes less and less expensive due to the efforts of innovative private companies like SpaceX, the world’s first trillionaire could very well be made rich by the efforts to mine asteroids for rare metal. NASA has no identified over 12000 asteroids that are located within 45 million kilometers of Earth, and each one has the potential to hold vast amounts of precious metals. Geologists believe that these asteroids could make the world’s first trillionaire, with materials like iron ore, nickel, and other minerals at higher concentrations than we see on our own planet. As mentioned above, Goldman Sachs has been invested in asteroid mining for quite some time, and they’ve been watching the field with interest over the past few years. The fact that they think the practice has so much potential for profit is good news for companies who are starting to develop the infrastructure to make asteroid mining a feasible goal – potentially creating the world’s first trillionaire. “While the psychological barrier to mining asteroids is high, the actual financial and technological barriers are far lower,” the investment bank said, driving home their beliefs about the potential of asteroid mining. While this recent statement from Goldman Sachs about the potential for the world’s first trillionaire is the latest news in the field of space mining, they are far from the only supporter of this practice. According to physicist Michio Kaku who recently advocated for space mining, asteroid mining is also a solution to a resource shortage here on Earth. Describing asteroids as “a flying gold mine in outer space,” he’s a clear believer in the abundance of valuable resources available from asteroid mining that we may soon have access to on a wider scale moving forward. Large and small countries alike are starting to recognize the potential of asteroid mining as well, with countries like Luxembourg taking action to invest in the development of the space mining industry. Back in 2016, the government set aside $223 million in funds for space mining ventures – hoping to become the first country to support asteroid mining operations. The company has since started working closely with Planetary Resources and Deep Space Industry – two leading companies in the space mining arena. The efforts to make space mining a real possibility have only become a possibility in the past few years. For several decades at this point, we’ve dreamed of asteroid mining and the potential that such an operation would have – both financially and for raw materials that are becoming increasingly difficult to access here on Earth. While we still have a good amount of metals left, our society is rapidly expanding and it may soon be necessary rather than simply profitable to turn our attention elsewhere in order to support our industries. Whoever capitalizes on asteroid mining first could potentially become a trillionaire while opening the path up for an industry that may change the way we obtain raw materials moving forward. Just as SpaceX changed the space game with the introduction of their Falcon Heavy rocket, whoever takes action first could change the landscape of mining moving forward. With new access to thousands of asteroids rather than a few hundred, the potential for this industry has never been more robust. 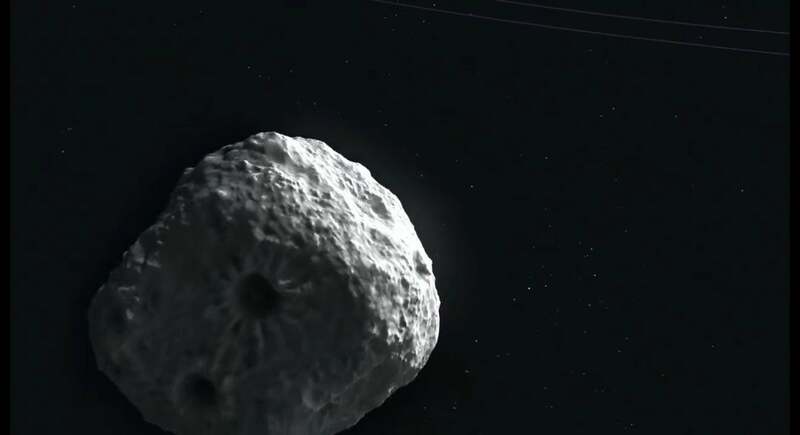 Previous estimates suggest that a 3000-foot asteroid may contain platinum worth around $5.4 trillion – making asteroid mining a no-doubt lucrative operation.